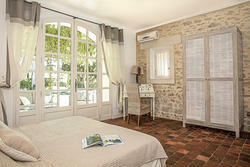 Holiday rental for 12 people in St Remy de Provence. 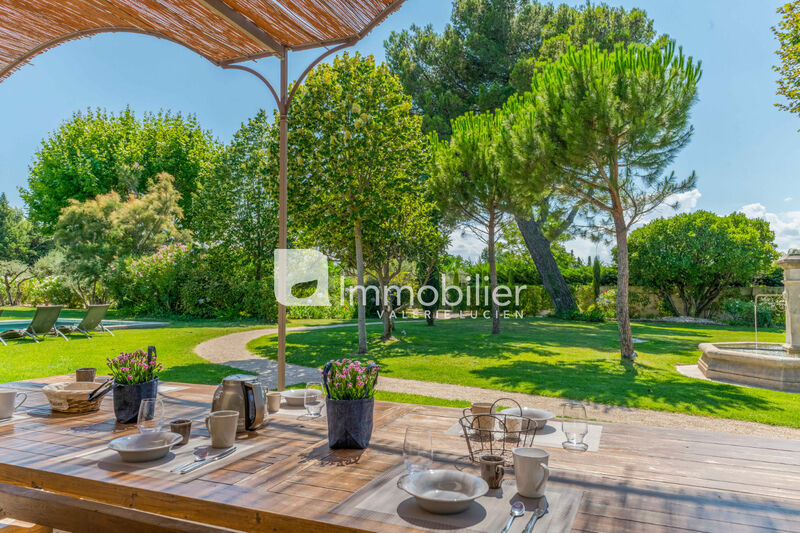 Exceptional property of 620 m2 built on a beautiful park carefully planted trees and flowers of 6500 m2, located at the entrance of Saint Remy de Provence. 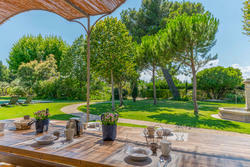 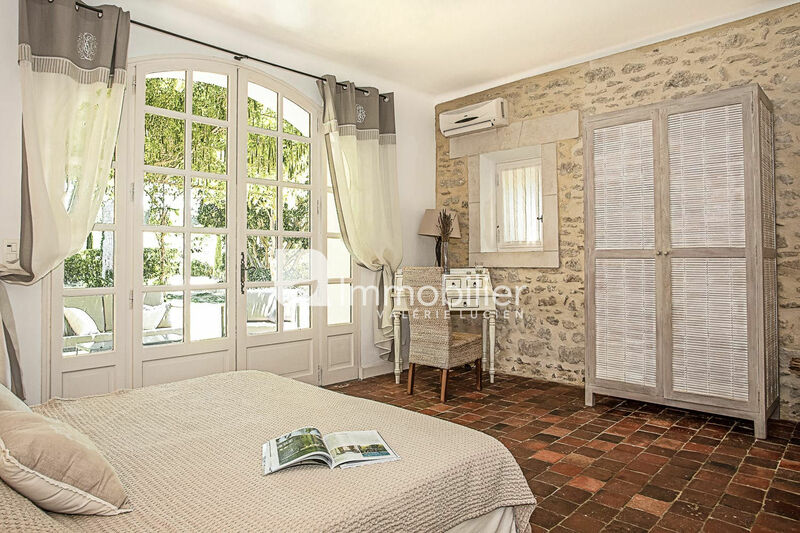 The house offers 6 beautiful air-conditioned bedrooms each with its bathroom en suite and all have a view of the garden and the large Provençal fountain. 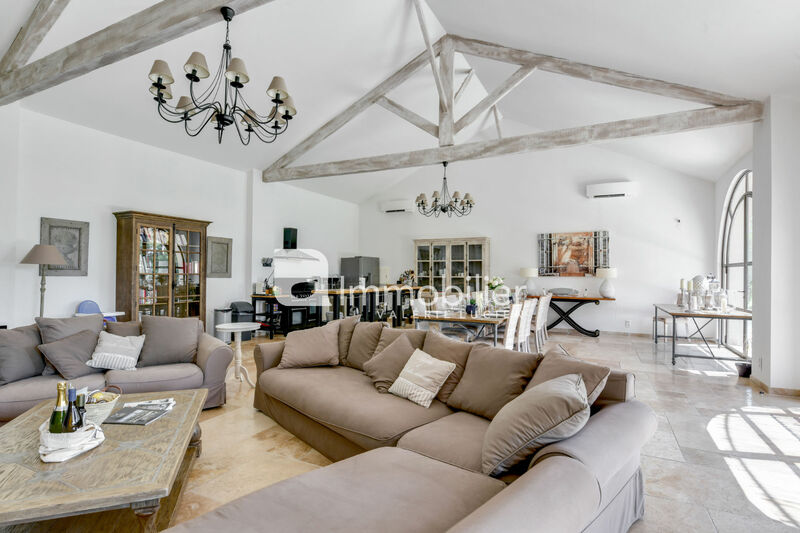 - a large fully equipped professional kitchen (Falcon piano, fridge / freezer US, robot, deep fryer, Nespresso coffee machine, back kitchen with large closets and laundry with dryer and washing machine). 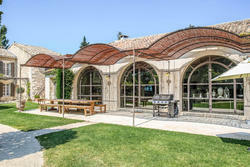 - a huge air conditioned summer lounge overlooking the park with large fireplace, kitchen, and a table that can accommodate 24 guests! 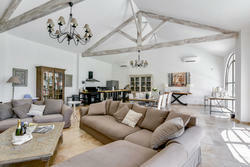 It is the ideal place for cooler evenings and large receptions. 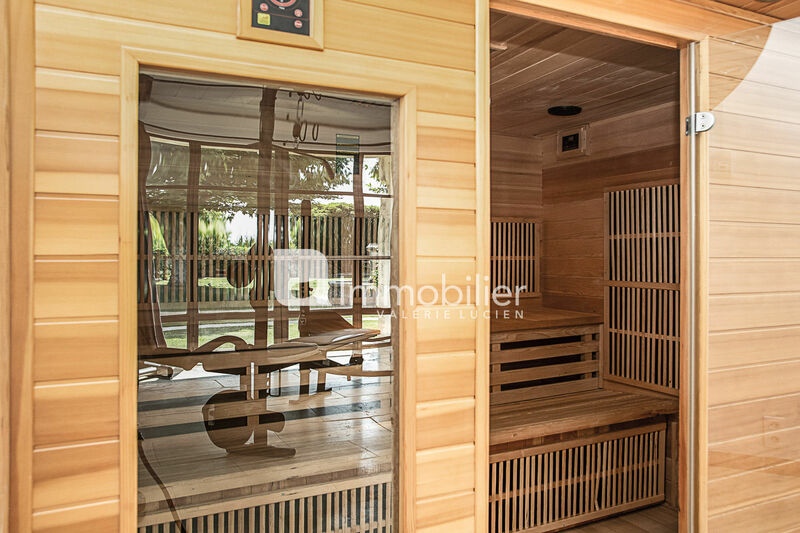 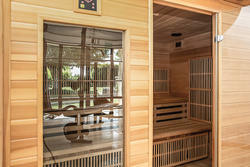 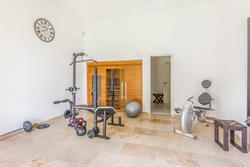 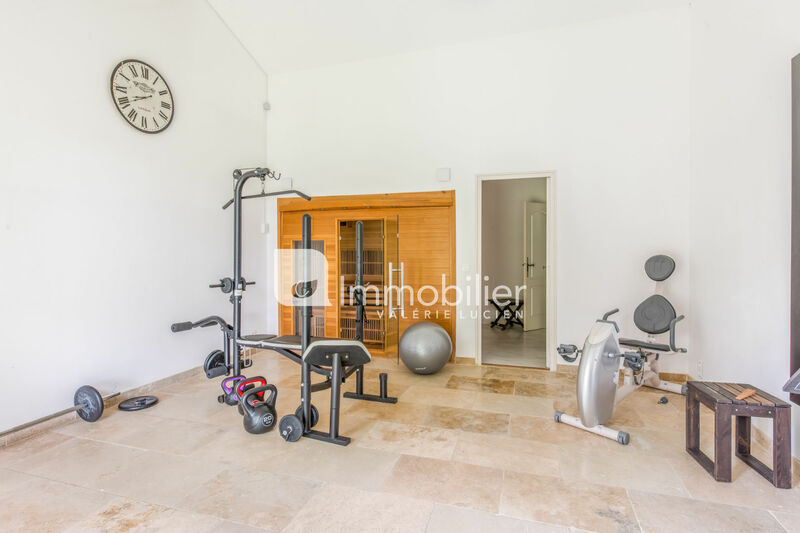 You have a heated pool (on demand in the off-season) of 16 x 4.50, offering a beautiful beach of 10 m2 with water to 20 cm, a swimming against the current, secured by alarm, d ' a sauna with chromotherapy and a gym with cardio and fitness machines.